Shenzhen BST Science & Technology Co., Ltd offer bis-aminopropyl diglycol dimaleate,an active ingredient used for hair coloring, hair bleaching, hair waving or straightening, hair conditioning and skin conditioning. Where to buy Olaplex hair bleaching and hair coloring single active ingredient Bis-Aminopropyl Diglycol Dimaleate(INCI)? Where to buy hair coloring and hair bleaching kits Olaplex Ingredient Bis-Aminopropyl Diglycol Dimaleate Concentrate(INCI)? You can find Shenzhen BST Science&Technology Co.,Ltd who manufacture Bis-Aminopropyl Diglycol Dimaleate(INCI). With Bis-Aminopropyl Diglycol Dimaleate you can manufacture hair care product easily. Shenzhen BST Science&Technology Co.,Ltd is a hair coloring ingredient bis-aminopropyl diglycol dimaleate supplier. Shenzhen BST Science&Technology Co.,Ltd is a hair bleaching ingredient bis-aminopropyl diglycol dimaleate manufacturer. 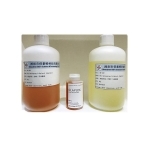 Shenzhen BST Science&Technology Co.,Ltd is a bis-aminopropyl diglycol dimaleate seller. Packing: Shenzhen BST Science&Technology Co.,Ltd can provide following packing now, 1kg test sample, plastic bottle+carton, 5kg packing, plastic drum+carton, 25kg packing, plastic drum+wooden case. APPLICATION and INGREDIENTS Olaplex No.1 Bond Multiplier Water (Aqua), Bis-Aminopropyl Diglycol Dimaleate, Phenoxyethanol, Sodium Benzoate. Olaplex No.2 Bond Perfector Water (Aqua), Bis-Aminopropyl Diglycol Dimaleate, etc. Olaplex No.3 Hair Perfector Water (Aqua), Bis-Aminopropyl Diglycol Dimaleate, etc. 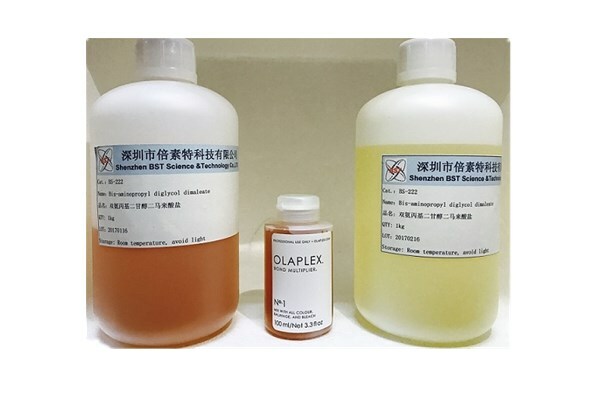 How To Manufacture Olaplex With Bis-aminopropyl Diglycol Dimaleate? 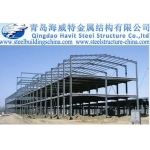 Please contact Shenzhen BST Science&Technology Co.,Ltd for more details. Shipping: Test sample will be shipped via FedEx or other air express. 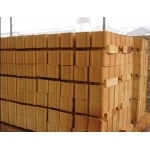 50kgs or more could be shipped by air or by sea according to the request of customers. BIS-AMINOPROPYL DIGLYCOL DIMALEATE is a cosmetic ingredient. This compound has no restrictions for usage in cosmetics, according to European Cosmetics Ingredients Database. Description: Bis-aminopropyl diglycol dimaleate is a hair product ingredient known as bond builders which help to protect hair while that hair is being treated with bleach. Bleach can whiten hair but also damages hair at a molecular level, leaving it more susceptible to tangling and more fragile, causing strands of hair to break more easily when brushed. Bis-aminopropyl diglycol dimaleate help to restore damaged hair by repairing disulfide bonds broken during the bleaching process. Bis-aminopropyl diglycol dimaleate is a new type of a personal care or cosmetic ingredient, it has a protective,nourishing and restructuring action for the treatment of hair. The formulation containing bis-aminopropyl diglycol dimaleate can be used for hair coloring, hair bleaching, hair straightening, hair conditioning and hair permanet waving. Bis-aminopropyl diglycol dimaleate is free of silicone, sulphates, phthalates, DEA, aldehydes, oils. Bis-aminopropyl diglycol dimaleate can be made into a spray, a conditioner, a shampoo, a cream, lotion, gel, or polish. Bis-aminopropyl diglycol dimaleate is good for damaged, bleached and coloured hair. Bis-aminopropyl diglycol dimaleate help colourists to go lighter and brighter without the fear of breakage and damage to hair, keep hair healthy, If your hair has been damaged from heat or previous colouring, formulations containing bis-aminopropyl diglycol dimaleate is the answer to your healthy hair needs. Hair that is damaged due to a hair coloring treatment or other reducing treatment can be treated with the formulation containing bis-aminopropyl diglycol dimaleate. Use of finished hair care products containing bis-aminopropyl diglycol dimaleate during a permanent wave treatment prevents the reversion of the hair to its previous state. Some have mistaken Bis-Aminopropyl Diglycol Dimaleate for a lightening agent like bleach, but Bis-Aminopropyl Diglycol Dimaleate does not lighten hair. Bis-Aminopropyl Diglycol Dimaleate is not a hair dye, although using Bis-Aminopropyl Diglycol Dimaleate in your hair service will save your hair from chemical damage. Bis-Aminopropyl Diglycol Dimaleate rebuilds disulfide bonds in the hair. This means that getting the colour you secretly desire is now possible without breakage. The substance Bis-Aminopropyl Diglycol Dimaleate (CAS No 1629579-82-3), is already listed in CosIng with the functions of hair conditioning, hair straightening and skin condition with no particular regulatory restrictions. Therefore, it can be used on the European market. A formulation for skin or nails containing Bis-aminopropyl diglycol dimaleate, can help repair damaged disulfide bonds due to natural wear and tear or natural aging.